Click on the images below on further content from each author! All shortlisted titles will be promoted in WHSmith stores nationwide from 2 June - 20 July. The overall winner will be decided by a panel of Judges, alongside the public vote. The public vote opens on 1 July and closes 15 July at www.theakstons.co.uk. The new Massey University Press, led by respected publisher Nicola Legat, will have creative writing on its upcoming list, including the next edition of Poetry New Zealand, edited by poet and senior lecturer Dr Jack Ross for the past three years. International writers who now call the Manawatu home are adding a distinctive vibe to Massey University’s burgeoning creative writing scene. A surge in activity and success among Massey University staff and student creative writers - from New Zealand, as well as the United States, Britain, Latin America and Australia - reflects the growing strength and profile of its undergraduate and postgraduate creative writing programmes, says Palmerston North-based author and creative writing senior lecturer Dr Thom Conroy. Ex-pat writers offer a fresh take on New Zealand identity from the migrant’s experience, says Dr Conroy, a dual American-New Zealand citizen who moved here from Ohio 11 years ago. A case in point, Dr Conroy is about to launch his second novel, titled The Salted Air, two years after the success of his debut novel The Naturalist - set mainly in New Zealand and based on the true story of 19th century German naturalist, botanist and explorer Dr Ernst Dieffenbach. It topped the Neilsen Weekly Bestseller list in New Zealand after its release in 2014 and was at one point selling ahead of Man Booker winner, Eleanor Catton’s The Luminaries. 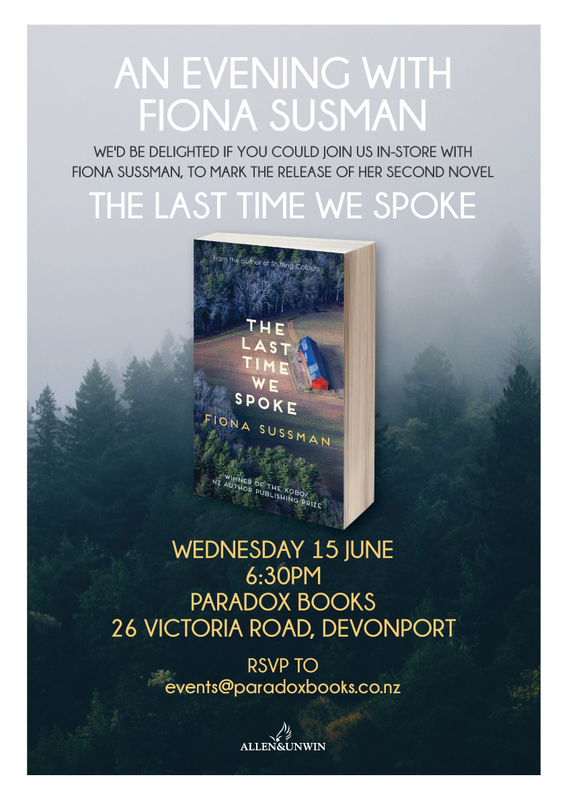 His next novel has a contemporary New Zealand setting, and will be launched in Palmerston North on June 3. Colleagues, as well as current and former students from the School of English and Media Studies, have been gaining a profile in both publishing and arts performance across genres in fiction, poetry, creative non-fiction, and theatre and film writing. The Australian Book Industry Awards have named Magda Szubanski’s Reckoning the Biography of the Year and outright Book of the Year for 2016. Elena Ferrante’s The Story of the Lost Child won the Reader’s Choice Award for International Book of the Year. The ABIAs recognise publishers’ work in editing, design, production, marketing, publicity and sales, as well as author achievement. 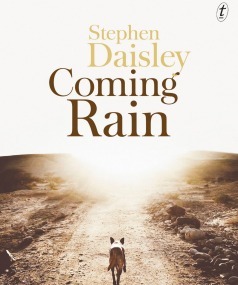 Stephen Daisley was named winner of New Zealand’s richest writing prize, the inaugural Acorn Foundation Literary Award, for his novel Coming Rain, at the 2016 Ockham New Zealand Book Awards. The NSW Premier’s Literary Awards have honoured two Text authors: Sonia Dechian’s An Astronaut’s Life won the 2016 UTS Glenda Adams Award for New Writing and Magda Szubanski’s Reckoning won the 2016 Douglas Stewart Prize for Non-Fiction. The 2016 CBCA Shortlist was recently announced, with a number of Text titles among the shortlistees. Vikki Wakefield’s Inbetween Days was shortlisted in the Older Readers category; Martine Murray’s Molly and Pim and the Millions of Stars was shortlisted for the Younger Readers prize; and We Are the Rebels by Clare Wright was shortlisted for the Eva Pownall Award for Information Books. Magda Szubanski’s Reckoning was also recently awarded the 2016 Nielsen BookData Booksellers Choice Award. The prize celebrates the titles that booksellers most enjoyed recommending to their customers in 2015. 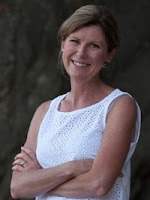 Senior Editor Penny Hueston has been awarded a UK PEN Translates award for her translation of Sarah Cohen-Scali’s Max. Books are selected on the basis of outstanding literary quality, strength and innovation of the publishing project, and contribution to literary diversity in the UK. Hueston translated the work from its original French to English. Max is published by Walker Books in the UK. 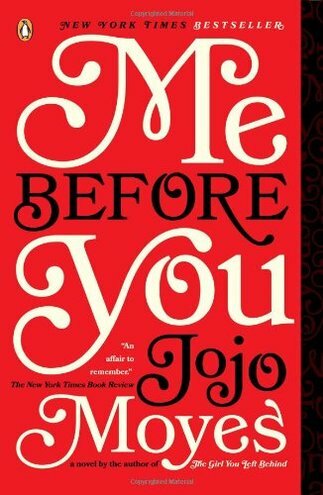 Overseas, Lori Roy won the Edgar Allen Poe Award for Best Novel for Let Me Die in His Footsteps. Presented by the Mystery Writers of America, the Edgar Allan Poe Awards honour the best in mystery fiction, non-fiction and television. 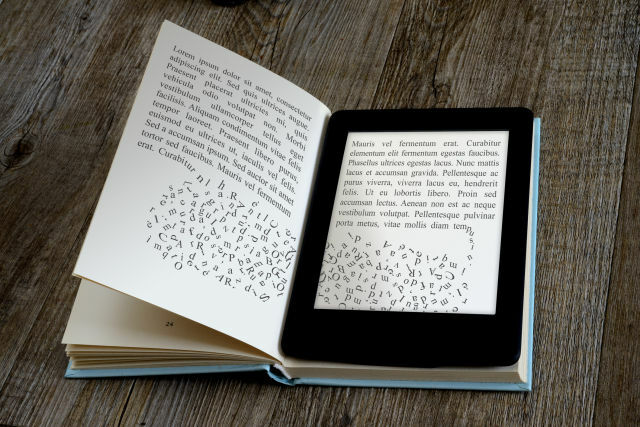 Should it be legal to resell e-books ? 464pp. Bloomsbury. £25 (US $30). In the Lower Reading Room of Oxford’s Bodleian Library, there is an entire bookshelf – quite a big bookshelf – filled with concordances to Classical Greek and Latin authors. When I was an undergraduate, I worked at the desk next to it most days. The books are still there, in more or less the same place they always were: the four fat sober grey volumes of A Concordance to Livy; Isabella Gualandri’s Index nominum prop­riorum quae in scholiis Tzetzianis ad Lycophronem laudantur; A Lexicon to Herodotus, compiled by none other than the young Enoch Powell. It is little short of a miracle that the concordances, lists of all the words appearing in a given text, have so long survived the librarians’ regular purges of the open shelves stock in the Lower Reading Room. Frankly, the entire C.Index shelfmark could be hauled off and shredded and no one would be any worse off. All 400 lb of them are utterly obsolete, obsolete as few books in history have ever been obsolete. Even out-of-date telephone directories retain some historical interest. Print concordances have no intrinsic interest at all: they are simply bad paper search engines designed for a world which had not yet invented good online search engines. These massive reference works, the products of years of human drudgery, have been entirely superseded by two or three online databases of Greek and Latin literature. If I want to find all instances of the word haimasiē, “low fencing-wall”, in Herodotus, I can do so online in a matter of seconds, thanks to the digital Thesaurus Linguae Graecae (eight hits). A dark tale that navigates the underbelly of urban New Zealand. Growing up in a publisher's home in South Africa, Fiona fell in love with language and the written word at an early age. This was during the apartheid era, and witnessing the brutal regime at work sensitised Fiona to the issues of injustice and racial prejudice. This is her second novel following Shifting Colours. 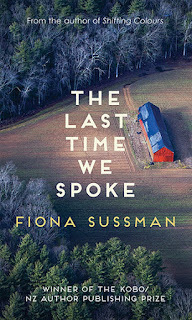 Fiona now lives in rural Auckland, New Zealand with her husband and family..
A woman who has barely been beyond her English village finds herself while caring for a wealthy, embittered quadriplegic. 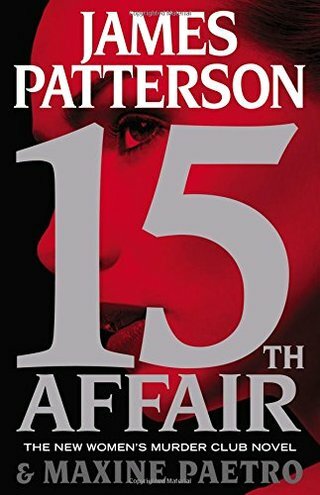 When a brutal murder threatens the domestic happiness of the San Francisco police detective Lindsay Boxer, she turns for help to the Women’s Murder Club. 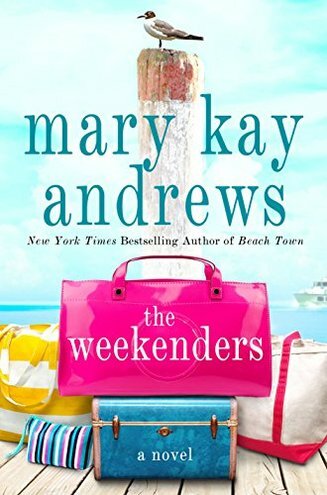 On the North Carolina island of Belle Isle, a woman investigates her husband’s shady financial affairs after his mysterious death. 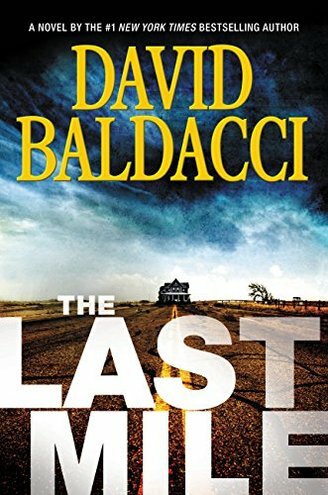 In a sequel to “Memory Man,” Amos Decker, a detective with an extraordinary memory, investigates the case of a convicted killer who wins a last-minute reprieve. 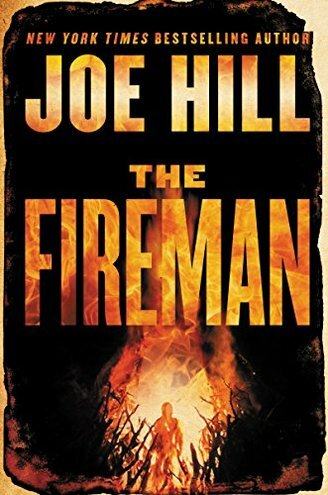 During an epidemic that causes people to spontaneously combust, an infected New Hampshire nurse fights to stay alive, aided by a mysterious figure known as the Fireman. The world’s first Airbnb bookshop. AWF - It's a wrap !